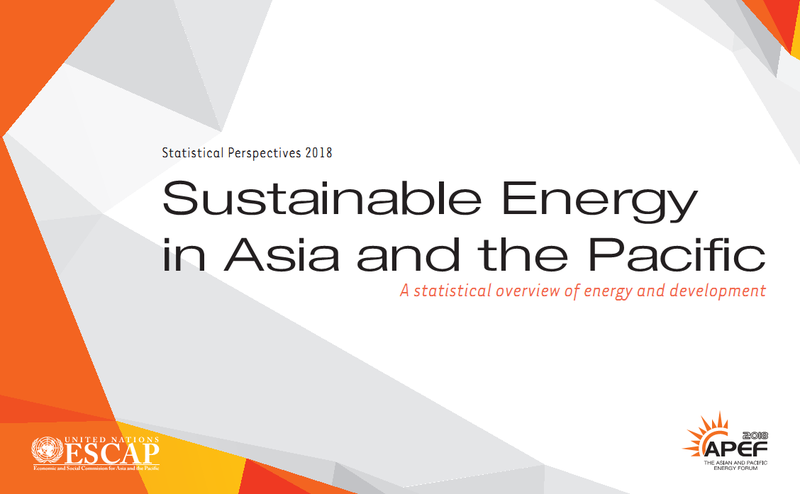 The “Statistical Perspectives 2018: Sustainable Energy in Asia and the Pacific” is a statistical overview of progress on energy in the Asia-Pacific region created especially for the Second Asian and Pacific Energy Forum, and as a follow-up document to the Initial “Statistical Perspectives: Focus Areas for Realizing Enhanced Energy Security”, which was produced in preparation of the First Asian and Pacific Energy Forum held in 2013. The perspective draws on data and charts available through ESCAP’s Asia Pacific Energy Portal (asiapacificenergy.org), which enables the visualization of energy data, policy and infrastructure for countries within the Asia-Pacific region. Through the use of various charts and maps, readers can engage with key energy statistics addressing the core areas of the Ministerial Declaration and Plan of Action on Regional Cooperation for Enhanced Energy Security and the Sustainable Use of Energy in Asia and the Pacific, such as: Energy Supply and Use, Energy Access, Energy Efficiency, Renewable Energy, Energy and Environment, Energy and Economics, Energy Trade, and Energy Investments.